1.Simple design with promise of durability and long life span LED light source. Features like downy light with zero glare are also included. 2.Waterproof and dust proof level IP65. Our UFO LED bubs can be used in various industrial and office settings. 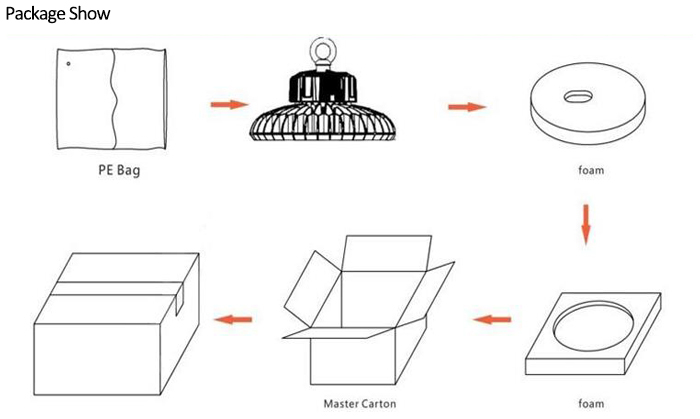 3.We built the UFO LED lights by mainly using the aluminum alloy as the material with PC lens or Tempered glass . This promotes work safety and durability under different conditions. 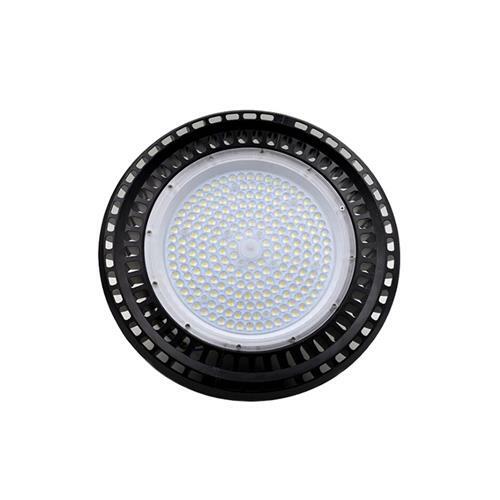 4.Adopted Philips/Osram 3030 SMD Led light source, large-size chip with high brightness and low light decrease. 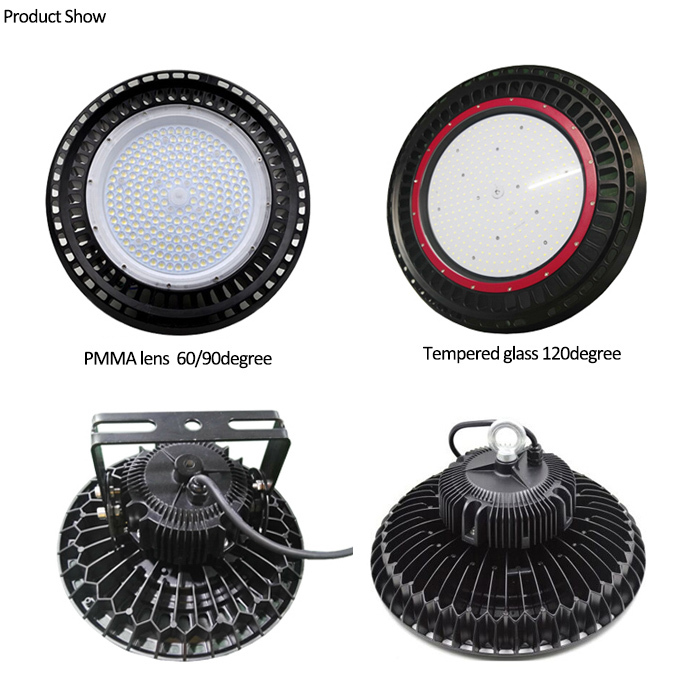 Enough current margin with LED chip rated current 150mA and actual use only 120mA for extend UFO LED lights lifespan and increase light efficiency. 5.Adopted Meanwell Driver, Universal AC Input/Full range up to AC120-277V or AC347-480V.Also use high quality driver with AC100-277V or 305V. 6.Protection function saves your UFO LED tubes from short circuit, over current, over voltage, and over temperature. 7.Built-in.active PFC function, PF≥0.9 and conversion efficiency≥90% fully encapsulated with IP65 level. 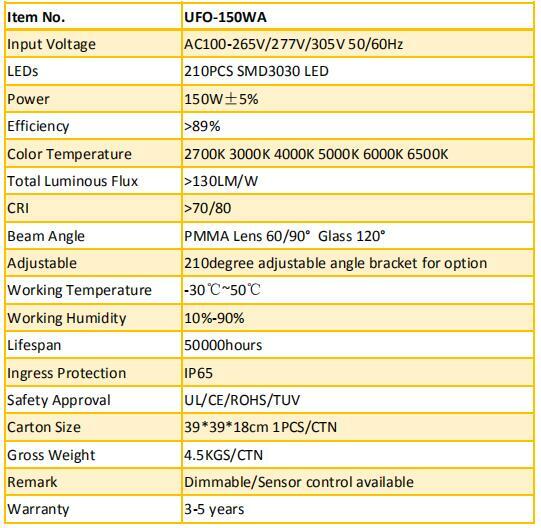 In short, best UFO LED lights for sale. 8. 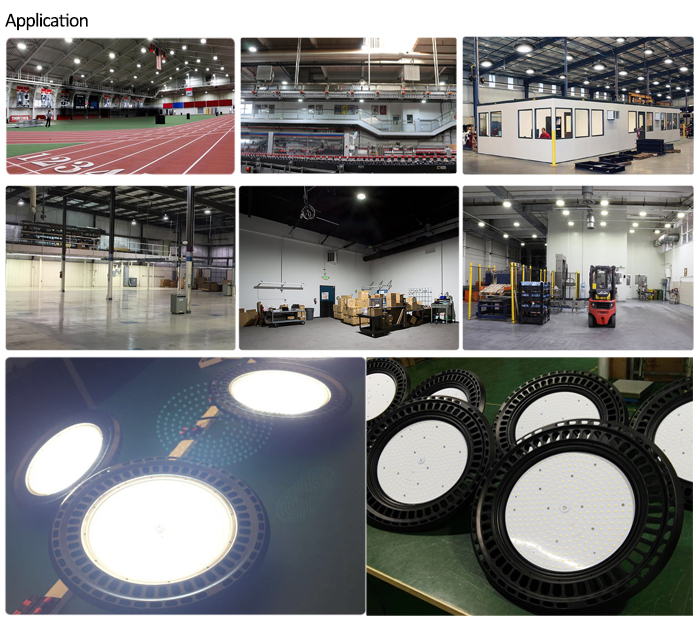 Separate Light board and power supply along with thermal conductivity, air convection design for enhanced lifetime of UFO LED lights. 9.Light sensor and microwave sensor optional. 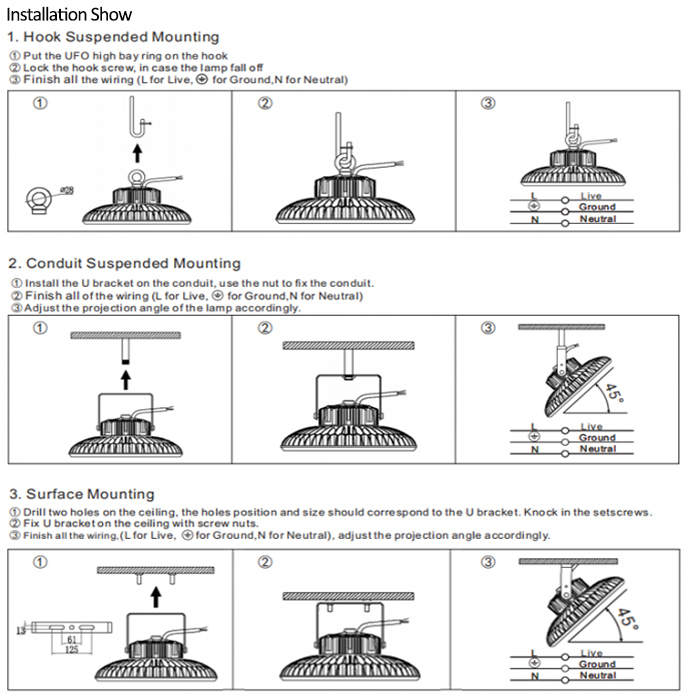 10.We offer various installation ways such as brackets/ring/hook/hanger/pole etc.Please inquiry us for moe details.